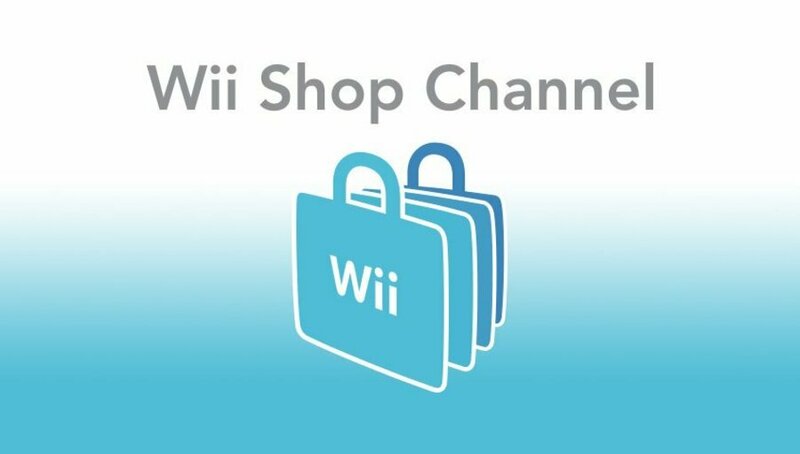 Back in September 2017, Nintendo announced that the Wii Shop Channel would be closing in 2019. The closure would mean that players would no longer be able to purchase games via the digital service, with any Wiiware exclusives on the brink of being lost forever. On 26th March 2018, the ability to purchase or redeem points (the shop's digital currency) was taken away, with any points still remaining on your account only being valid until 30th January 2019. A quick conversation in the Nintendo Life office brings back memories of some truly great games offered through the channel - excellent releases like World of Goo and Cave Story, M2's Rebirth series featuring Gradius ReBirth, Contra ReBirth, and Castlevania: The Adventure ReBirth, and even the virtual console service which had a much wider selection of games than the Wii U or Switch. 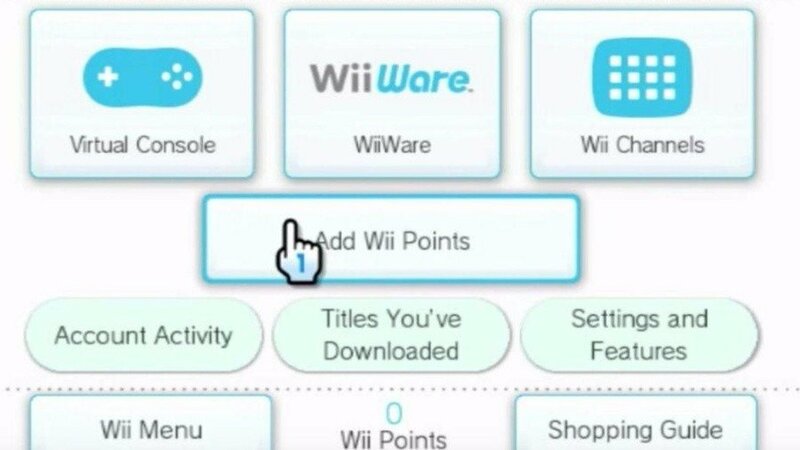 Seeming as we're coming up to the final few days of being able to use Points on the Wii Shop Channel, what were your favourite WiiWare games? Nintendo's support page for the Channel states that all services related to it will also be removed in the future, although no exact date has been given. "In the future, we will be closing all services related to the Wii Shop Channel, including redownloading purchased WiiWare, Virtual Console titles, and Wii Channel, as well as Wii System Transfer Tool, which transfers data from Wii to the Wii U system." We'll leave you with one of the Wii Shop Channel's greatest features - the absolutely wonderful theme music. I wonder if Wii's that are stuffed with digital games will become collector's items? So many games lost to time. They just... vanished. Wii will never forget you wii shop channel, you had a long run. Sad day. Obviously the industry has yet to figure out how to handle digital transitions as old tech and architecture dies. Despite being older, it had the incredible advancement of shopping music. The Switch eShop has yet to learn how to drop an mp3 into their app. I still remember first hearing in 2007 about how the Wii would be able to connect to the internet and access a virtual shop that could download classic games and other stuff. Coming off of the Gamecube which could do nothing but play whatever disc you put in, it blew my mind. It was such a leap. I've already spent all my points and all of this stuff has been backed up by the Wii homebrew community, but I'll still be logging in today as a send off. I Wii Always Wiimember you. The downside of the digital age, where you are dependent on the store front to be there the next year. Sure, physical has the same problem, but at least there you could try to track it down on the used market. That music haunts my dreams. I just picked up a wii yesterday and spent the night modding it. Found an option to turn off the main system music. Absolute holy grail of hacks. I still wish I could make the shop music my Menu them in SSB Ultimate. Thanks for all the VC games, Wii shop. It's still crazy that no Nintendo shop experience since has matched the one on Wii, especially regarding the whole Virtual Console. @frabbit Turn off the Wii menu music? What kind of monster are you? To be fair, if the preservation happens at some point, homebrew/hacking is a completely valid and unavoidable alternative. I hope those games don’t vanish from the emulation websites. Shame it never really got any better than that with the Wii U and Switch regarding the whole Virtual Console thing. Said my goodbye to it yesterday by doing the Wii to Wii U transfer (I know, I love to wait the last minute to do anything ^_^; ). I still remember my first Shop Channel memory. It was a snowy day, I was on my way home with a points card, back when it still was a paper card. First games I downloaded was Sonic 2 and Star Fox 64. I even remember buying Sonic 4 Episode 1 the day it came out too. Hooked up my Wii U partly to make sure I still had all of my Art Style titles downloaded. Shame they never got a physical release. I will lament the day I lose my Lost Winds data now. Ahh sad day, i really wish we could have the option to use the Wii Shop music on the Switch's e-shop. My fave games on Wiiware were Jett Rocket and both Lost Winds games, i really hope the rumoured Switch ports of Konami's ReBirth series happens as i didn't get around to buying them. I'm currently in the process of last-minute-downloading all of my Wii games. Earlier this evening, I transferred all of my Wii U content to a brand new console. I've been here all night, but I only have a few games that still need to be downloaded. For those in Australia, the shop closes at 5.00pm Sydney time today. I would so love a Muscle March port with improved controls. @Toadie : Fortunately the Wii Shop music lives on in Smash Ultimate. Boy, did its inclusion put a smile on my face. The Wii shop may have had lots of garbage ware on it, But there were some jems that are now unavailable for good...Also has the best virtual console selection out of any Nintendo console...Rip Wii shop, Your shop theme will live on forever. And that's it, the Wii U's shop is officially gone. It did get a good 6 years being open though. I guess the digital sales were too low for Nintendo to keep it open, and... Wait a minute, this is the original Wii's shop, not the Wii U's!! I still see people saying the Wii U's shop is closing, and it's like no, the e-shop on Wii U is still around coming up on 7 years, and no reason to shut it down as games are still selling digitally on it. Ever since they stopped selling points, I've had 400 useless points sitting around that I'm finally free from caring about! They could have adjusted down the prices of SOMETHING to below 500 points, to allow people in a similar situation to feel they hadn't straight up wasted the money they paid for those points, but then, who actually cares. Thank you Wii Ware, I would not have played World of Good had it not been for you! I remember being hyped as heck for the Virtual Console when it was first announced. All my favorite classic Nintendo games on their then-latest console? Genesis/Mega Drive games too? Sign me up! Listening to the Wii Shop Channel theme for the first time was quite magical, too. I have 60 games from the Wii Shop on my SD card, and most of them are Virtual Console games. And they're NEVER going away. I still remember getting Mega Man 9 at launch and how brutal it was the first time playing it. I really wish I got the Konami Rebirth games and Bubble Bobble Plus, though. To everyone who has any number of games from the Wii Shop, do yourself a favor and hold on to them for dear life! They will be gone for good if they're deleted, so don't do it. RIP Wii Shop Channel - thank you for the wonderful memories! Wait, has it closed in the UK?! I thought we had until tomorrow morning!! End of an era, and one of the reasons I'm really not a fan of buying digital-only. Even though I know games on physical cartridges & even optical discs, degrade over time and become unusable as well. I guess these companies have created themselves a never-ending stream of money as we all keep having to re-buy games every few years unless we lose them forever. The Wii had the best collection of classic games through Virtual Console that no system since has even come close to matching. Truly is a sad day. Crumbs! I thought we’d have till midnight. I think i downloaded all my games but wanted to check and back up onto SD cards just in case I missed one. Is it actually completely inaccessible now? Also never transfered to Wii U as limited space and I wanted to transfer only parts onto Wii U, not everything. Last night, I used up all 6000 points that I had left on the Wii Shop Channel and after buying these games (see 1 below), I hoarded as many demos on to my S.D. card as much as I could (see 2 below). 1: Fluidity, Space Invaders Get Even (with D.L.C. ), Art Style: light trax, Art Style: Rotozoa, Lit, and Maboshi's Arcade. I really agonized over choosing World of Goo or Space Invaders Get Even but since I could get World of Goo on Switch or resort to W.A.D. downloads for the Wii, I ultimately went with the latter. I also wanted Castlevaina: The Adventure ReBirth but it would have resulted in some left over Wii Points with my list of games. Lastly, I considered Lost Winds but I couldn't find it so someone must have taken it off the Channel. 2: Max and the Magic Marker, ThruSpace, Bit Trip Fate, Bit Trip Runner, Bit Trip Core, "chick, chick, BOOM", Rage of the Gladiator, Lit, Fluidity, Aya and the Cubes of Light, 2 Fast 4 Gnomz (I only got this because my brothers played it years ago, making it somewhat nostalgic), Pokemon Rumble, Lilt Line, Jett Rocket, NyxQuest: Kindred Spirits, and Dive: The Medes Islands Secret. 3: I also downloaded The Legend Of Zelda: Skyward Sword Update Data just for the sake of it. Farewell old friend, wii salute you with remote in hand. I hope they bring the ReBirth games back. Is it possible to download wii shop channel games (specificaly the trasfer software) after it closes to an SD card from the internet or something? I might get a wii U but I don't have time to download the transfer software later today. If not, it's gonna stink if somebody gets a wii u and wants to transfer their stuff but didn't download it. I just figured I would bring this up just in case. Also, we may not be able to play the stuff on the original hardware anymore too. Remember this people! eShop, ps store and Xbox game passes fate! All throw away and lost! And like that puts hand to lips and blows it's gone. @MysticGengar Yes, actually. Here's a link to a video about accomplishing that sort of task. https://www.youtube.com/watch?v=FHFuFuUFHag. I recommend that you read some of the comments below as one person details some information that you should know when doing this. I spent the 2800 points I had left on Rebirth Castlevaniea, Rebirth Contra, and Ghoul Patrol. I had already switched everything to my WiiU a while ago since storage wasn't an issue on it. This is really horrible as it's the first digital platform that I've used that is going completely offline. When I got my Wii console originally, it had Super Mario 64 and Bomberman '93 on it. A Wii with loads of Virtual Console games on it could be valuable, but when it comes to WiiWare, the storage capacity is a limiting factor. I've transferred everything over to my WiiU, but you can't utilise the WiiU's higher capacity, so I have to rely on an SD card. Thanks. I'm busy right now, but I'll watch later. The games. The memories. The sick music. It’s gone. All gone. As a Wii kid, I need to go weep. I made my final Wii Shop Channel purchase last night. I bought Chrono Trigger since I still had 900 Wii Shop points left. Rest in peace that last 100 points though. I'm going to miss clicking on the Wii Shop. So long WiiWare! @holygeez03 Perhaps, but it will be tricky with all the hacked Wii around since it was quite easy to download the entire catalog to an external HD. @PipeGuy64Bit That was one of the last games I bought too, but I made sure last year to get enough points to leave my balance in 0 though. Ah.... Wii eShop, we most certainly WILL miss you. It was a nice thing to have access to all that stuff and all those games on one single, compact console. And I loved all the little touches that the eShop had, like NES Mario running and jumping to indicate download process. That was fun as well. Mostly used it to download free channels, though, and only a handful of VC games, but I had fun with it regardless, and I will miss it. Just spent 20 minutes browsing the catalog, and re-downloading some stuff, and to have a listen to the muzak and to see Mario jump through the download process one last time. On a side note: as a predominantly physical games owner, things like theses actually DO underline my reasons for not being too enthusiastic about the digital-only future. There's just zero ownership, and zero control over what happens with the services connected to the software that YOU purchased with your hard earned money. Sure, the convenience to be able to download whatever, whenever and however sure is nice and handy, and doesn't require you to carry an extra bag with cartridges or discs along with you on the go, but it still annoys me enough to never want to jump in with both feet. This is the future of gaming. Digital Stores closing down taking all the games with them. After that, your downloaded purchases will only last as long as the hardware they are downloaded on. I love this light blue color. @ThanosReXXX I agree with that, but I don't see it entirely that way. Yes, closing the shop and blocking the option to redownload a game is a bad thing, but it is hardly different from losing your physical game when they are not producing it anymore. Sure, you can pick up a used copy, but looking it in that way, I don't feel so bad about it at least. It's very different. One is in your control and the other isn't. I have lost exactly ZERO games in almost 40 years of gaming. @Crono1973 You won't lose the games you have downloaded. It's just the store closing, you literally still have the games for as long as your wii keeps working. Assuming you don't lose the sd card. One of the things I used to really like about the Wii Shop Channel was the ability to gift a Virtual Console/WiiWare game to someone on your friend list. Saved me so many Christmases! @sanderev That doesn't work on console and you know it. @Delibheel Did you miss where I said: After that, your downloaded purchases will only last as long as the hardware they are downloaded on. @Crono1973 So, will your physical games last forever? Will you be able to go to gamestop and buy Super Mario World again if your cartridge stops working? Purchased my first WiiWare game, Castlevania: The Adventure ReBirth a couple of hours ago, but have a hard time deciding what I should purchase with the 5000 Wii Points I have left. My current short list consists of Final Fantasy Crystal Chronicles: My Life as a King, La-Mulana, Contra ReBirth, Gradius ReBirth, Excitebike World Rally, LostWinds, Final Fantasy IV: The After Years, Blaster Master Overdrive and Castlevania: Rondo of Blood* (Virtual Console). @Sinton I'd recommend getting things you actually want to play. But I guess going for all exclusives you can is also a valid tactic. Skip Final Fantasy VI The After Years, you can get better versions on PSP, Vita and Mobile. Maybe PC. All hail Yet Another Wad Manager Mod! @Delibheel Will you be able to go to gamestop and buy Super Mario World again then? You can and have always been able to go buy Super Mario World used. Some of those cartridges are 28 years old and they still work. Further, they will work in any Super Nintendo (they aren't tied to any specific console) or clone Super Nintendo. How the hell can it be that people have so many points left? @Devlind Well, in my opinion, it's rather an understatement to call it a bad thing, that you can't download something that you bought and paid for, just because, at some undetermined point in the future, a company decides to pull the plug on the service connected to it. I have a rather big collection of them, for all kinds of consoles and handhelds. So, regardless of any pros or cons, physical will always be better and preferable to me. And sure, nowadays, there are services like on the Xbox One, where Xbox 360 and even certain Original Xbox games are supported once again through backwards compatibility, but it isn't and will never be 100%. And in all fairness: that's also not feasible, both from a business standpoint, and from a capacity standpoint. And of course they can't please everyone, but there will always be games that will never be available again, so as long as you still have these on disc or cartridge, you're good to go. And last but not least, there are used games shops (well, at least over here) with good as new services, meaning they'll polish/re-surface the discs, clean the cartridges, put the games in new cases and so on, and giving you the same warranty as new games, so buying those is almost like buying new ones. @Crono1973 Exactly. Never lost one either. See, this will be the issue with digital. Companies have the power to remove the service and said games. @holygeez03 Seems doubtful that Wii's with digital downloads will become collectable. Emulators exist. And hacks undoubtedly exist that would allow you to download these games onto the console itself. Regardless, RIP Wii Shop, there goes a portion of my childhood. @ThanosReXXX It's like digital distribution is mostly for irresponsible people who need to protect their games from themselves. @Devlind The reason I was stuck at 900 was due to spending 3100 on the Ace Attorney games back before the Trilogy was confirmed for 3DS. @Peppy_Hare Beautiful UI, why can't the Switch look something like this with all the animated screens. But the reality of it, is that convenience is taking over the world, in this snackbite "I want it now, and I want it fast" world. They don't care about the wrapper anymore, much less do they worry about, or spend a minute or so to think about, what rights they're relinquishing. It's become an entirely disposable hobby/pass-time, ending with them owning a box with just one's and zero's on a hard drive, and nothing tangible to show for their "massive" games collection on any shelf or in any dedicated game room and/or corner of the house. We still need MASSIVE overhauls of legislation for digital. If digital worked like DRM-free music purchases, this would not be an issue. You download it, you store it, archive it, do whatever with it for a 100 years if you want to keep it. I have zero risk of losing my digital music, because it's my files to copy as I see fit. We need this for games. GoG and such do DRM free gaming...they're still in business. We need our digital games to be our property and not controlled externally, just like music is. Yes, "piracy", same as with music, but consumer media needs to function that way. And unlike music that will be playable for 10,000 years in any player, the games will still have a shelf life because current hardware and OSes won't forever be able to execute the old code even if it's yours forever. If we had that shift in legal handling, digital would only have the negative of not everyone having bandwidth for it. @Crono1973 I agree. The UI is nice and, to this day, is as snappy as ever. I never transferred games to the Wii U as (on Wii U they ran in that Wii emulation shell) it just seemed like it required one-too-many steps to access. @ThanosReXXX Well for those of us who have been gaming for so long, we can easily see how inferior digital distribution is compared to physical. To us, convenience was popping in a game and playing, no download time, no patches and no installs. Just pop it in and in seconds you are playing. Being able to take your game and and your save file with you used to be easy. You just take the cartridge (or disc plus memory card) with you and you were all set. The more disposable gaming becomes, the more irrelevant it will become. Individual games will become forgettable like watching a new series on Netflix and then forgetting about it in a few days. There is nothing on the shelf to remind you of it and no feeling of ownership. I'll quit rambling now but even though I try to convince people that physical is more pro-consumer I know that the trend is going towards digital distribution. I can't help but to try. @Sinton I would probably drop Excite Bike: World Rally from that list since half of its functionality died with the Wii's Wi-Fi service. Typical thing you mentioned, about how it might become more irrelevant. Not just because of the disposable part of it, that we agree on, but it kind of wouldn't surprise me to ultimately see it happening that, after (the video games industry and its fans) having fought so long to grow from parents looking at it like silly toys, to now being a staple in many living rooms, gaming and/or games as a hobby might even run the risk to become looked at as silly once again, because of it becoming so disposable. @ThanosReXXX Sort of like how mobile games are largely seen as time wasters, something you play when you are bored and not for their entertainment value and with no long term commitment. This is why digital is bad. We didn’t buy these games permanently- we rented them for 12 years instead! Physical forever please!! @ThanosReXXX Sadly, not "silly" but "consumption media." Like TV, music, movies, etc, today, you subscribe to all encompassing bundles of everything ever made (except 30% of the things you actually wanted) to get access to all of it, never use most of it, and perpetually pay someone to access it. So it ends up forgotten and unused. We know gaming wants to go that way. Case in point, right now between pay and trial I have almost every music service available. I'm not going to keep them all, obviously. But each one lacks something important to me that it makes it hard to choose. Spotify has the biggest variety, and is the only one with major Asian labels in the catalog, and the best automated music discovery. Unfortunately their sound quality is garbage on a HiFi. It can't be my one and only service, yet it's the one I'm most likely to use to find new music. Apple Music.....it's Apple and basically works with nothing else (or not well.) Google Play Music has some weird things other services have, but lacks things all other services have. But it includes You Tube Red.......great for gaming sites...and for music videos....which is the only way to find really obscure, or particularly, Asian stuff not on any catalog. Sound is questionable on HiFi...not really how you want to listen, but better than Spotify. Deezer has the deepest music discovery engine...it's hit or miss in results, but plays it less safe than Spotify. It lacks some obscure stuff or foreign stuff, but has a lot of non-mainstream stuff others don't. It has HiFi but is limited in hardware usage....not bad though. Tidal...ok the catalog is garbage. It's all HiFi though! That's the easiest one to drop, but then they have a ton of Chinese music none of the other ones have plus a lot of "big" American acts that the others don't have (except for Apple.) I'm not particularly into Chinese (the language drives me up a wall and is grating in music) music but it's an interesting difference out of nowhere for the "mostly rap" service. But for the stuff they do have it's reliably high def.....where Deezer only does high def to specific devices (or PC.) Napster is abandoned. For games, this is the future. If you want all the games you need all the competing services. If you don't get the subs to all the services you get whatever games your brand is offering this year. And then it becomes disposable "I guess I'll do this one" rather than a cherished product you seek to buy and play. Definitely the end of an era. Wii Shop Channel had a good run. I'll never forget my first download: F-Zero. It absolutely blew my mind at the time that I was downloading NES, SNES and N64 games on my new console. Goodbye, Wii Shop Channel. Thanks for the memories. By shutting down this service, Nintendo can do what Atari failed to do when they buried all those copies of E.T..
Screw all those services you mentioned. I'll be damned if I pay extra to get the exact package of music or tv shows/movies that I would want to see. I choose one, and the rest I'll download for free, whenever I want, and how many times I want. Without this service, I never would've played the Fantasy Zone series, nor Donkey Kong Country, nor most of the best Castlevanias. Heck, some of my most nostalgic games were delivered to me this way. Paper Mario, Super Mario RPG, Kirby 64 and Dream Land 3, Pokemon Snap... I've got boatloads of good memories with those. Rest in peace, Wii Shop Channel. ...And an era officially ends. I just hope Excitebike: World Rally comes back. @ThanosReXXX Well, probably you haven't lost any game, but it doesn't mean it can't happen to anyone else. And I agree it gets down to personal preference. Personally, I like both. I like physical games, but I have no problem with a digital version if I feel like I want to have the game available at any time, even if it means that someday I will not be able to download it again. If the 12 year Wii shop period is any indication, I'll probably be playing in other platform when that happens to even be an inconvenience, to me at least. @Devlind True, it will not be an issue for everyone, but for people like me, who sometimes just like to revisit old games whenever we want to, and NOT until a company dictates that we can, it's an ever growing problem. And don't get me wrong: I've also got quite a bit of digital content, but that's either what I got for free, like with Xbox Live Gold, or if it truly isn't available in physical form, and I really like the game, in which case, I'll decide whether or not I still want it enough to buy it regardless of it only being digitally available. Man, how fast time goes. I still remembered making a post on the Wii message board thing, for 10 years after I got the system, saying ''We will see this post in the future!'' ...now to think that that future has already been passed for several years and the Wii Shop Channel is even gone. Yikes. I miss every single game having an animated icon, AS WELL as a channel presentation screen with a unique jingle. Such an energetic vibe to it all! Although, the lighthearted connotations to mass surveillance and excessive media consumption might seem a bit outdated now. Completely with you on the topic of digital games. If there is one place I see block chain technology as immediately applicable, it would be in securing an end-user's rights to the data they have bought. Now would be a good time to have a Direct and announce those SNES games running on the Online service. It started when I broke my foot on Christmas Day in 2006. I bought ToeJam & Earl and SimCity with my very first Wii Points card. Thank goodness the controllers were wireless out of the box now! I loved it. Sure it was a slow, agonizing trickle of content sometimes, but after taking my first teenage job, this was fairly regularly where some of my paycheck went. These were some of the first purchases I made with "disposable income." It was the perfect way to dip my toes into the waters of the past, and what turned me into the retro gamer I am today. I closed out that account last week at a zero balance getting Space Harrier and one of the Art.Style games, as I backed up all 115 of those games to an SD Card, backed that up to my computer, and backed that up to an external drive. So long, Wii Shop Channel. May your exclusives live on in some way for years to come. Genuinely sad about this. I have a lot of memories tied to the Wii and the Shop Channel. The loss of that and the ability to redownload the games that I effing bought is depressing. I like to think that this wouldn't have happened under Iwata and is a decision made by the cold, corporate suits that sit at the top now. Ah, Muscle March. The first game that I bought at Wii Shop Channel. @ThanosReXXX Again, I agree, but Nintendo isn't blocking in any way your ability to play the digital games you already own and have downloaded. You just aren't going to be able to buy more (or download them again when the servers go offline), and, as I said, that would be the same as them stopping production of a certain game, in which case you can't get a new copy in stores anymore when it is sold out. I'm just trying to say that digital isn't that too different from physical. I have in a box of Atari games from the late 70s and early 80s sitting, ready to be played. They will be there even if I get a different Atari console. @Averagewriter Some of us won't be around in twenty-thirty years, so I usually don't bother thinking about this too much. Those of us interested in passing our games to our children, or in preserving those games, think about it quite frequently. The Atari games were given to me by my father. Thank you to the homebrew community for preserving the WiiWare library, the vast majority of which will never see release again and would be lost to time without your effort. In before a white knight calls me a pirate or something. @Averagewriter Well yes, that's a valid concern, but a small one when you consider that most of our offsprings will be playing other games by that time just like we're doing now. Companies will sell their best old games again and again to be playable in current gaming devices, and any lost games will be kept available through emulation. We're living this now and this will probably keep on happening when we're long gone. So again, I usually don't bother thinking about this too much. I mean it isn't that bad guys. If you can't take care of an SD card you can't take care of physical games either. Farewell Wii shop. Thank you for introducing me to so many games I missed out on the first time around. @Devlind The difference between digital and physical in regards to availability is that with digital, Nintendo becomes the ONLY store. With physical, retailers could still have new copies years after a game is out of print and used copies will always be available. Nintendo's responsibilities are different when they are the only seller. As far as the Wii Shop goes, Wiiware and Wii VC games can't be bought anywhere else, ever again. Your comparison is bad. @Saintayu - And when you take an SD card to a different machine, because of the inherent fragility of today's systems? A cartridge from the SNES will play in any SNES compatible device, including the clones on the market. @saintayu You are aware that the games are tied to the console and if you put your SD card into another Wii, the games won't work, right? So if your Wii OR your SD Card dies, you've lost all your purchases. In comparison, if my N64 dies I can still play Paper Mario on any N64. @Devlind Companies will sell their best old games again and again to be playable in current gaming devices, and any lost games will be kept available through emulation. The best experience with a game is to play it with the controller it was designed for. Super Mario 64 feels so much better with an N64 controller than with a dual analog controller, for example. Authenticity is not satisfied by re-releases and emulation. @ThanosReXXX So much depends on legislation. EG. I could buy storage space on OneDrive and story my data there. It's on their servers, but it's my data. They don't own it. I'm just paying them to store it. So it's like renting a storage unit. Or a warehouse. Or trailer. If I rent a trailer and store a ton of cargo in it, it's my cargo, not the trailer company's. As long as the legislation for digital can keep up to date, and match it with physical property, we're ok. Yes the server can go down, but that was on my for storing stuff in an unreliable trailer company's gear that rusted through and ruined my freight. I could store in my own facility and a rented one, arguably making it more robust than physical goods....but only if legislation backs my property rights to it. It's all about making sure legislation allows digital property to mirror physical property rights. But yeah, I hear you on the subscriptions. For me music subs are a good value because i'd buy too many CDs I'd not listen to often enough to justify it otherwise (or just listen to the same ones over and over.) So I'm not against the model. But I'm against the segmenting of it. There's one promising one coming up, it's already in Europe, Qobuz, that has a top tier subscription that's expensive but it's full quality, plus audiophile high res, plus discounts on the store like XBL/PS+ which is cool, but a bit too pricy and the catalog is a bit too thin. But it might be the rest real "new" thing in that scene for ages to shake it up. And I don't do TV. Though I got in ground floor on Google TV and intended to only buy periodically, but Google grandfathers people in at launch pricing, so I hate to lose that....I'm keeping it for now. Thats' when TV looked like it would be going practically free with streaming, but everyone's prices have gone steadily up since...so I was kind of lucky to get a cheap sub. Even though I don't use it enough to justify even that. Such a waste especially the virtual console. We easily could've had access to nearly a thousand classic games from all different systems and genres. There was no need to restart the service on wiiu/3ds or the switch. It could've been a unified library, you could purchase any VC game on any of your Nintendo devices and download it later. Remind me again what's the point of an account system if not for such a purpose? Well managed to back all my purchases up on an SD card. I know that if my Wii goes (touch wood) they’ll go but at least i tried my best. Probably gonna go start downloading some on the Wii U over time and back those up too. @Devlind When the store sells out the full production run (minus damaged/destroyed copies) are still available in the world though. And have commercial value. And I'd agree if you could back up and copy your games around, but if it's locked to hardware you only keep them until the hardware fails, and the mechanical hardware will indeed fail. (XBox is the one exception so far in that you can actually back up your games and transport them to new machines.....only catch is I'm not sure if the license file is backed up in the backup. But with only that one platform, digital may indeed be preservable. @Crono1973 Their responsability isn't the same as the others, I agree, but it lasts until they say so. I believe that's how it is on their terms of service, which everyone of us agrees with when using it. As I said, my example goes as far as with new copies since it is not possible to get digital used copies. I really don't care whether you think my example is good or bad, so go along with whatever you think is right. For the matter of the best controller for any given game, it is down to personal preference, really. If you feel like it is better that way, that's ok, but that wasn't the point. @Lemmy_the_Koopa Exactly. This is why oppose the digital age. I want to buy a game and always have it, or at least have easy access to it through prepared markets when they are no longer in production. @NEStalgia - Provisions existed a long time ago that allowed consumers to back up their software, but powerful lobbies have since then made that action all but illegal. @NEStalgia Never said otherwise, but I think I clearly left that out since Nintendo isn't getting anything from the expensive "new sealed" copies or the used ones. And yes, all electronics will end up failing, just like any physical media. We can see that nowadays with disc rot on PS1 games. Time will eventually eat everything, so yeah, I still believe both are more similar than people often think. @Pod good point. Not to mention the rounded corners on those 4:3 CRT icons. It was quirky, but as an initial offering of a web-based downloadable game store by Nintendo, it was great. I gave Nintendo so much money through this service for WiiWare, VC, and DLC (Rock Band DLC - total spent unfathomable). RIP, Wii Shop Channel. You were truly Revolution-ary. Sadly I will miss this era of gaming. I loved the Wii Shop music, the large VC collection and Wii Ware. I'm really sad there is no physical media for the rebirth series. Those games deserve to stick around. I got more than I'm willing to admit. Ben 10 Rise of Hex - Surprisingly good. I didn't get a lot of VC, just the usual SM World and SMB3. Sonic 4 was hype back then but I never got it because I found it too expensive for what is essentially four uninspired levels. Nintendo's faq says it's not closing. The Wii Shop deadline is for the spending of your Wii Points balance (Which for most still active users, actually happened last year when the previous deadline for adding credit came around; While some people clearly held onto a balance waiting for some unknown reason until the last minute to spend it, I imagine most did what I did and emptied their balance last year when they last added points). The full closure of the shop will happen at a later date that is yet to be announced. So redownloading of content and Wii to Wii U system transfers will still be an option come February 1st. @Averagewriter @Crono1973 and yet I bet more people play games via emulation than anything else. And let's not forget Nintendo sells classic Nes Controllers now. Are those not comparable to the original ones? Signed into Netflix on Wii last night and still have it logged in. Unless the plug hasn't been pulled yet, Netflix hasn't booted me off yet either. Gonna continue watching some Trailer Park Boys on my good old dust collector until I get signed out. @AlienX Am wishing I got Ace Attorney on Wiiware. I actually ended up buying Sonic 4 on the PS3 in a sale, it was less than half of the Wii price and had better graphics, didn't find it too enjoyable for a 2D Sonic game. The Wii Shop music was quite irritating really, navigating the store was slow and there were never any sales. So glad things have advanced since then. Some great games though. Cave Story is one of my favourites and really enjoyed the Donkey Kong Country games as the Wii U version doesn't let you play in full screen (if you do tweak the settings it doesn't look right). Mustn't forget Pokémon Puzzle League too that was cool. @Peppy_Hare WOW! That's a lot of games. Did you pay for all of them? I remember Nintendo having a promotion where if you got enough people you knew to connect their Wii console to the internet all VC games could be downloaded for free. Rondo of blood is the more classic game and probably better but it was released on ps4 there. Rebirth will go down with the wii shop because unless im wrong its not available elsewhere. @Averagewriter Those provisions were always illegal or questionably legal. We don't need provisions and workarounds. We need actual property rights defined and protected under the law, same as for physical property. That's the core issue facing digital. More specifically we need the licensing to be treated as property. I can make copies of all my xbox games on 10,000 hard drives if I want, perfectly legally, right on the machine. But if I can't restore my license file, it's useless. That's the part we need legislated. @Devlind Also true, and we certainly agree for the most part, but specifically that last bit you mentioned, about not being able to download certain games again, that's REALLY one of the bigger issues. And/or companies removing/disabling games or parts of games whenever they want to. This stuff also happens a lot on other consoles. If we take the Xbox One for example, how one could prevent this from happening, is simply by removing the installed and disabled/updated version of the game, take the console offline, and simply reinstall the old, fully working version from the disc that you would still own, if you wouldn't be a digital only gamer. No company can send a game-disabling update to my console, if it isn't online. I honestly don't care a whole lot about online multiplayer, unless it's with friends, but no SOB from whatever company is going to remotely disable/discontinue MY single player game, and that is a large part of the whole ownership thing. Completely agreed. Ownership for the win! @NEStalgia - you're mistaken on that. It was unquestionably LEGAL (via backup provision) until the industry changed the law to explicitly prohibit cartridge backups (1983, Atari v. JS&A). My first download in the Wii VC was Gunstar Heroes. It felt like the future to be playing Mega Drive games on Nintendo hardware officially. And thus, over 200 VC games not available on Wii U and Switch are closed off from purchase. @Roibeard64 Which one is more difficult lol? I can't be bothered with super hard games anymore! I had $30 credit sitting on my Wii U's Wii Store account and I finally spent it today! I am probably one of the last people in the world to buy anything there. @JayJ Nice! What was your haul? @Sciqueen The gameboy one starts out very difficult; the remake gets very difficult. The original game’s difficulty is derived partially from simply bad level design in parts. Either way, you’re in for a challenge (and amazing music). Update: Sorry, I was quickly browsing comments and assumed you were in a dilemma to buy Castlevania Adventure Rebirth or the original Castlevania Adventure (originally on Gameboy). So to answer your actual question: Rondo is one of the very best games in the series (top 5); Adventure Rebirth has unbalanced difficulty, but is still really good (maybe top ten). Nintendo, time to port those remaining titles that never left the system, to the Switch. Please and Thank you. @Antraxx777 Not trying to sound rude or anything, but if you ate breakfast this morning, it doesn't necessarily mean that there's no world hunger. That your collection especifically hasn't suffered from that doesn't mean it isn't an ongoing problem. @saintayu Yep, Nintendo reprinting NES contollers is awesome just as it was awesome to get the NES, SNES and PS1 Classic controllers. I am hoping to get an N64 Classic for new first party controllers. However, these things are always limited. @Devlind Disc rot is a thing but even then your PS1 games will outlast any digital store on console. Let's take Final Fantasy VII, there are copies of the game that are 21 years old. If Sony had a digital store in 1997, would it still be open today? I think not. Cartridges last even longer. There are many copies of Super Mario Bros. from 1985 still out there working fine, that makes them 33 years old and there is no way Nintendo will keep a digital store open for 33 years. Really, I don't know why you are trying to prove that digital games last longer, there is no evidence of that. Even Steam hasn't been around 33 years and when they are, the games may be available but unplayable on the hardware of the time. Unlike consoles, it isn't easy to find a 2005 era PC to run your Steam games on, in fact....I'll bet the Steam client wouldn't support a 33 year old PC. Ok final shortlist with 8000 points. Thoughts? You gave me four player bubble bobble and eight player bomberman. Gosh, I remember the first time I booted up the Wii Shop. It was overcast outside and getting dark, but my heart was warm and bright as I bought Sim City, which I hadn’t played in years. As soon as Sim City’s title screen and its pretty music kicked in, I was so very happy. Castlevania: The Adventure ReBirth is my favorite WiiWare exclusive, but it’s also thanks to the Wii Shop that I finally got to play Rondo of Blood, which has since become my favorite Castlevania game. Thanks, old chum! Rest in peace, and I’ll listen to your fine as heckfire muzak for years to come! @ThanosReXXX Yes, it is a shame that they can't hold onto the servers for eternity, but at the same time, they can't keep the production of new copies either. Not having the ability to download it again is just like not having the ability to get a new copy for the suggested retail price on any shop. In both cases is an inconvenience and you'll end up paying a little extra. Both have their risks of either have the game data corrupted, losing the cartridge somehow or the system altogether. I don't know where are you getting they can disable games. I've never seen such a case other than in games that heavily rely on a server to work like MMO/online-only multiplayers. Those usually don't have a single player campaing, so they become unplayable most of the time. Never heard of a game with a single player campaing being unplayable because the servers went down or something. And as I said, you will be able to revisit all your digital games as long as you still have them stored, just like you have your physical games stored. Yes, you must be able to get the system that has them up and running (which is one of the biggest arguments people that only play physical have), but you still need that if you want to play your physical games too. In both cases you'll be looking for another used console, though admitedly, in digital you might be looking for an used game as well. And to respond to that side note, we don't know. I'm not pessimistic or anything, but we really don't know. Is in our best interest to be around as long as we can, but we don't know when we'll suffer a car accident, or a cardiac arrest, get stung by way to many bees or just fall from a ladder. Young age is not a determining factor to be honest. We had that article not long ago about that young guy that wanted to play Ultimate before cancer could get the best of him. He probably had a long life ahead of him if it wasn't for that, but he just didn't had a choice. In short, we just don't know. @Seacliff That's sincerely the worst part of it all. @Peppy_Hare That's an awesome collection! Sonic and Knuckles and Sonic 3 too. I remember the Wii version had the lock-on feature which let's you play Sonic & Knuckles 3 which most modern Genesis collections never seem to include. @Crono1973 That's true, I'm not denying that, but it also true that if you care about your discs enough to keep them in good state for years, I don't know why the same couldn't be done on the system/memory you have your digital games too. It seems like a contradiction to use such an argument, but it may be only for me. I never tried to say that digital games last longer. I can't even pinpoint something along those lines in any of my comments. If anything, the closest thing I said is that both will end up being defeated by time. My point is and will be that there isn't a huge difference in both formats. It is true that both offer some benefits over the other, but both have risks that can be compared. For me, it isn't about one being better than the other since I believe both are similar, but about which one suits you the best. That's everything there's to it in my comments. Edit: Left a piece of your comment when I replied. Oops! @Sciqueen It seems like a solid list. I got cubello too. It looked like fun. @Antraxx777 I had that $30 sitting around because I really milked the Wii Store last year on my Wii U. I pretty much downloaded nearly every Wiiware game that stood out and I found interesting, and I got myself a great variety of Virtual Console games that were standout titles as well as many that are hard to find these day, things somewhat unique to that service. So I was in a position where I knew they were going to be ending the ability to add credit but I was having a hard time thinking of anything else that I really wanted, so I added the $30 so I could give myself some time and see if there is anything that I would like that I might have missed just in case. I ended up settling on Pokemon Rumble for half of the credit, I didn't download it originally because I made the wrongful assumption that Pokemon Rumble U was the same game only in HD, and when I played the demo today I realized how different the original game was and decided that it would have been a mistake to let that one go. I had about $15 credit left after that and I didn't want to see it go to waste so I downloaded a darts game and a pong game that I always enjoyed playing the demos for but never bought for some reason. Not the kind of games that would be standout titles to most people but then again they stood out to me and they are the type of games that can really only work on a Wii. In the end I am really happy with my decisions and my Wii collection now feels complete with there being nothing that I feel like I should have bought. I still got $3 credit remaining but I don't know what to use it for, I might just dig through my physical collection and see if there is anything that has some cheap DLC that I might want, but it doesn't seem like a big deal at this point. The saddest part is thinking about how different life was back when the Wii Shop Channel first opened. So much has changed in those 12 years. The music brings back great memories. @Crono1973 Well, if you can't see it from my perspective or just want to disagree with it, then there's nothing else I can do, and that's ok. I always moved everything straight to the SD card so no worries for me. So long creepy infectious 1960s music. You brightened a part of my life after I scored a Wii when they were no where to be found. It is as if we were meant for each other. Remember when we loaded the news and weather channels for the first time? Ohhhh sorry, this was meant to be private. |sf>My first VC title was Punch Out in 2007. However, the system I purchased the most on VC was Turbographx--I purchased all the TGX titles from the service except Bloody Wolf (which was pulled before I could buy it) and five others (All of those are available on Wii U, so I'll purchase them on there.). Virtual Console was a big deal for the history of this webpage too, since I'm one of many readers who first visited here for the VC reviews. I bought a vast mixture of old favorites, games that were new to me, and only a few duds (Chase HQ is not my cup of tea). I'll always associate the Wii with introducing me to Sky Kid, a relaxing game I also have on one of my 3DS machines & Switch (in Namco DL). I also credit the Virtual Console forum from the original Nintendo NSider webpage with connecting me to a circle of friends with which I shared many hours connected through discussions of VC titles, late night Excitebike Wiiware matches, Secret Santa VC gifting, birthday game gifting, Smash Bros. matches, and especially Mario Kart races on various platforms. Some of those friendships still last to this day via Switch & Facebook. Anyway, it all started with a Wii Shop. @Devlind I ended up swapping rondo for chrono trigger because I wanted to play it on a TV and not the DS remake. @Sciqueen Oh I though those were the last games you bought. Yes, Chrono Trigger seems like a better choice overall. @wazlon Thanks. I think it certainly speaks to my taste in games and maybe says a little bit about the type of person I am. It also serves as a cross section of the catalog of games I played in my youth. @Devlind but it also true that if you care about your discs enough to keep them in good state for years, I don't know why the same couldn't be done on the system/memory you have your digital games too. It seems like a contradiction to use such an argument, but it may be only for me. First of all, i didn't say that PS1 discs that still work were somehow protected from disc rot.Those 21 year old FF7 discs most likely were treated with care but otherwise not protected in an extreme way. Physical will always outlast a console digital store. Secondly, you think making a Wii last as long as a cd is a good comparison? What does one do to keep the capacitors or any other electronic part from aging and dying in a Wii? Also, a game cd is used ONLY when that game is being played. The Wii is being used for every Wii game you play. Honestly, your bad comparison are embarrassing. What don't you understand about 33 year old games being readily available and working fine BECAUSE they are physical? A word of advice to those just getting into the classics: play anything before (and including) Playstation 2-era games on a CRT TV. I'm not saying that in a know-it-all "oh you simply aren't a retro gamer unless..." kind of way. I sincerely believe that they play better on a CRT TV than on a modern display. @Peppy_Hare plus it's the only way to play duck hunt properly! @Devlind Well, no offense, but I'm going to have to agree with @Crono1973, in that the two are definitely NOT interchangeable. In all fairness, you didn't exactly word it like digital games last longer, but the strange thing of that is that were then already there. Somewhere earlier in this thread, Atari cartridges were discussed. Cartridges that are from the 1970's... And still in working condition! No matter which you prefer, digital or physical, we all know that digital services will NEVER last as long as physical media, that's pretty much a fact, amongst other things proven by these retro consoles and their cartridges. I also still have my Dreamcast, my N64, my GameCube, and every subsequent Nintendo console. All the older consoles still work perfectly fine, and all my games are in near mint condition. I think that only the kind of people that use their game discs as coasters, or just leave them lying outside of their box, are the ones that will need to be worried about faster degradation of the media, but collectors and people that take diligent care of their belongings, will be just fine for decades to come. And sure, if you take care of your Switch, Xbox One or PS4 and the storage units they contain, then they can also last a long time, but whereas the discs will still be there, provided under the previously mentioned conditions, then that's a MAJOR upside vs being locked out of any eShop and not being able to download any game again. And the worst thing of it is, that you BOUGHT and paid for that game, so by all rights, you should be able to download it again and again and again, for as long as you like. But once companies go digital, the rules change, and we relinquish those rights in exchange for the convenience that digital offers us. As for examples: on the original Xbox, pretty much all online activity is disabled, and the same goes for certain Xbox 360 titles, and backwards compatible titles on the Xbox 360. Only since Microsoft started to offer both of the previous generations of games on the Xbox One, did they restore online functionality on certain titles, and to their credit, even added some stuff. That in and of itself, is pretty decent and positive, but we all know that they didn't do this out of the kindness of their hearts, but purely for the money. And just as easy as they restored the online functionalities for now, they can also take them away again, once they decide that it isn't profitable anymore. With the older consoles, on the other hand, I'll still be able to play the same games 10 or 20 years from now. And even if we follow your scenario and I somehow lose or misplace some games, then there will still be retro game shops where I could buy them again, or from a private owner, so plenty of options to get my hands on them again. This is simply not possible with digital only media, so if we compare the two options point for point, then there's at least three or four points where physical media trumps digital. Of course, everyone can get into an accident, heck, it can even happen inside your own house, but thinking about those things constantly, or too often, isn't really conducive to enjoying life, if you ask me, so that's not something that I would do to myself. I always loved the Wii shop. I remember also VC Reviews and WiiWare World and later this NintendoLife. I downloaded all 9 Commodore 64 games, almost all VC Arcade games. A total of 320 games aprox in VC and Wiiware. I downloaded also the 52 demos. Some were erased but i downloaded again in my download list. I transferred all to Wii U and it is very joy to play them in a semi portable Wii U game pad without a TV. I hope Wii U doesn´t have the last VC and we can play VC in Switch someday. Thanks. Maybe, we will get an E3 surprise in the form of Wiiware’s greatest hits. @Pichuka97 That reminds me of when MS shut down the servers of the original Halo 2 on the Xbox. A group of fans logged on before the shut down and were able to keep playing a month after the shutdown cause they never logged off. MS literally had to kick them off. Sadly with the shutdown now of the Wiishop along with the Wi-Fi I see no reason to own a Wii. In total I bought 39 VC games. Left out those I could buy elsewhere. Time to hit the Wii U and their TG16 & GBA range. Had enough waiting for sales. @Tedikuma should've done that. Wanted cubello on it as well, argh. @BakaKnight You shouldn't have done that. Tomorrow will be the first day hacking a Wii will be legitimate. And downloading all those .wad. Seems you can still load up the Wii Shop, and redownload all your games, even though everything else is gone. Can anyone else confirm this? @Steel76 redownloading closes later on in the year no date as of yet. Source it the faq on the Nintendo website. Okey, good to know there is still some time left to download the games thanks! So we can't download already purchased games? That's it, I am not buying digital games again! You can still redownload already purchased games. @Averagewriter Oh, cartridge backups. That's a somewhat different and still kind of undefined but irrelevant issue. The backing up of physical media into reproducible media is a whole different set of legal statutes to deal with. That's taking a tangible, physical possession and converting it into a non-tangible, duplicative object, thereby altering it's value as a unique item with inherent monetary value. In those cases you had full, unrestrained possession of that physical item to do with as you please, but not permission duplicate it. Further, precedent already exists both via the norm for the music industry, which is a far, far larger industry than gaming, and also in the gaming industry via GoG for how property rights on digital content being guaranteed to the consumer does not equate to an inability for commerce to exist. That would be a key component to a legislative push on the topic: It's already being successfully done at scale. Music gets around piracy the long way, most digital files are watermarked, audibly, but outside the human hearing range (normally, Universal really messed up on that one with a lot of files.) Thus a track can be traced to it's distribution source at a minimum if found in the wild. Games could even more easily embed watermarking and more advanced techniques to function like serial numbers in physical goods, without having permission/access based license restrictions. Allowing consumers to have true ownership rights parallel to physical goods, while giving industry their sense of traceability to help identify and locate theft. It's a very very different legal basis for the two unrelated topics, and must not be confused if there is to be any success. RIP Wii Shop! Now i'm scaring, that My Virtual Console Collection isn't secured. @ThanosReXXX Wow, that's a big comment. I'll try to keep it long too to take MY REVENGE! Of course, if you take care of your games, systems and whatnot it will last 40, 50, X number of years, but what I'm trying to say is that, if you take care of your physical games/systems that way, there's no reason on why digital media couldn't last that long as well. Both are relatively the same in that aspect. At least on the Switch, the cartridges are only a glorified storage medium where your digital game is stored along with the license to play it. When you buy digital it is already stored in your console/external storage alongside your license to play it. The main difference is that you can share the physical media since there's no easy way to duplicate it. In the case of digital, creating a duplicate is pretty easy and that's why they don't allow you to share it (or potencially selling it multiple times), but I think with time they'll sort out that issue. Nintendo is already doing baby steps, allowing sharing digital games if you have the online subscription, logging your account into other Switch and playing it there (of course, connected to the internet and only having 1 active account at the time, but there's already an effort there). We still don't know for a fact that physical lasts more than digital since this last one, at least in consoles, hasn't been around as long as physical games, so I can't be sure it could be taken as a fact unless you have a series of documented cases of digital games disappearing from any given console even when they were already installed. I bet that, if back then every game was delivered without the need of any physical medium, we would still have them if our consoles were in good conditions (and as you say that your older consoles still work perfectly fine, I guess that, if you had any digital games there, they would still be playable). I can't see a reason why they would last significantly less if you take, as you said, diligent care of your belongings. Of course, being unable to download it again is a shame, but it is also a shame not being able to get a brand new sealed copy of SMB3 in my closest Best Buy right now. If you lost your game or if it gets corrupted, in both cases you'll end up looking for an used copy to replace it, or even better, getting it on a newer platform, if available. This is a common misconcetion. You don't buy the game per se, just the license to play it. You don't, by any means, really own the game in both physical or digital (something almost every developer makes clear when you reach the credits). If that was the case, then you, by all rights, should be able to get a new copy in any store since you already bought the physical game once, but it doesn't work like that. You only buy 1 license, and if we go to specifics, digital "trumps" here in short-medium term since you, as long as it is available, can download it again and again with that same license. In physical, if you lost it or break it, that's it. You either find a way to retrieve/repair it or you'll need to get another license to play it, but none of this is really important to the topic, I just wanted to point it out for the sake of MY REVENGE! And for the examples, those are clearly online, something I even addressed when I asked for them. I still don't know of any game that has an offline single player campaing that can't be played because the servers went down. Of course, playing Dark Souls without online isn't the same, but you can still play it perfectly fine without it. If you want to put it that way, I can bet you'll be able to play your digital copy of BotW in 10 or 20 years from now too. And yes, I know that you can look for an used copy, I've several comments pointing that out (even here), but both share that same inconvenience. I'm repeating myself here, but just for sake of MY REVENGE!, I'll do it. Lost your game? Get an used one. Your digital game got somehow corrupted and can't be played anymore? Get an used one too. Or even better for both cases: get the same game, if available, in a newer platform. The Wii Shop was mostly the embodiment of this last bit. And of course, if you compare point to point they'll not be exactly the same, I'm not trying to sell that in any sort of way, but if you do that you'll end up with a similar, close-enough list in which what really trumps at the end is personal preference. And well, I don't think I was being pessimistic or anything really, all the contrary. I believe that in my original comment about it I just used that to give out a reason to be care free about it and actually enjoy both sides... which is exacly what you're trying to suggest here. Accepting that fate, no matter how confident you are about your genes, actually helps a lot to enjoy life more than avoiding/discarding the idea since you get a very powerful reason to just don't give an f about certain, meaningless circumstances like worrying about being able to play your Atari games when you're 80 years old (I know you aren't the Atari guy, but I've just used that as an example). Oh boy, I think this is long enough for MY REVENGE!, but while arguing with you has been a pleasure, this seriously takes some time to write down, so let's try to keep it short next time, shall we? @Crono1973 I never tried to imply that they were, but they are being protected in some sort of manner. At least a good enough one to prevent rot. And well, you are now taking this in different direction. You're playing this card as "physical media vs digital store", which I don't believe are compatible at all. It would be "Brick and stone stores vs digital stores" for that matter. I really don't have any interest in discussing that topic since it was never the point, at least from my side. And yes, I believe it is, at least a close enough one. What does one do to keep a game CD from scratches, damage, and ultimately becoming useless because of the bites of time? Storing it, just like a Wii could be stored? It being used only when the game is played can be applied both ways, and while I've seen cases of Wii consoles being repaired, I've never seen such thing with CD other than those "repairs" that effectively shorten their life span, but please correct me if I'm being naive about this topic since I'm no expert. I'm sorry my perspective seems embarrasing to you. Such thing was never my intention, but there's nothing more I can do to help you there. I can understand that, I don't know how many times I need to repeat myself respecting that matter. What I can't seem to understand is your reason for "33 year old" games not being able to work fine just because they are digital. You just aren't understanding. With digital there is only ONE store whereas with physical there are thousands of stores. Also with digital there are no used copies. One physical copy can be played by hundreds of people over decades whereas digital copies can only be played be people with access to the account/console that purchased it. This is why physical is not tied to a store closing and digital is tied to a store closing. Understand now? And yes, I believe it is, at least a close enough one. What does one do to keep a game CD from scratches, damage, and ultimately becoming useless because of the bites of time? Storing it, just like a Wii could be stored? One game can be stored and pulled out once a year to be played but the console that plays your games will be in use for EVERY game that you play. The console gets far more use than any single game. Understand now? Also, I have been told that electronic components can degrade over time, even when in storage and not in use. I had that happen to me once with an Xbox 360. It worked fine and I put it into storage (in my bedroom, in a drawer) and when I came back a few months later it wouldn't work. I guess it would be the Red Ring but it was the E model so no actual Red Ring. What I can't seem to understand is your reason for "33 year old" games not being able to work fine just because they are digital. Fair enough, prove me wrong. Which digital game from 1985 can still be downloaded from it's original digital store and still works fine on it's original hardware or a clone of it's original hardware? Anyway, like @Crono1973 is also pointing out, you keep missing several critical factors in the comparison. I'm not really sure if that's because you really don't see them or if you don't want to see them, but they are quite real and factual, and cannot be denied. There is no way, in this existing universe, that you can objectively come up with a list that puts digital on an even foot with physical games, where benefits are concerned. No way, not ever. And older games on disc and on cartridge are most definitely YOUR property, denoted by the fact that there is no lease/rental period or any given length of time that prevents you from keeping them forever, and also no directive that prevents you from reselling them. The ONLY thing that is protected, is the Intellectual Property on those media, so for example Mario or Zelda, or Master Chief, or Crash Bandicoot or whatever. But the disc or cartridge they're on, is most definitely your property. As for games being disabled/removed: besides the examples I mentioned, from games where the online component is either all-encompassing or so big that it effectively makes the game all but useless, there are also examples from titles simply being pulled from the stores, for whatever reason. That has happened on Xbox Live, and on the Nintendo eShop, multiple times. Some of these titles have also been documented here on NLife. Of course they don't disappear from your console's hard drive, but if you can't re-download them, then you're basically screwed, if you want to move the games to another console or another hard drive, which happens quite frequently. And @Crono1973 also offers a VERY valid point that where in comparison of game degradation it might only be a single physical disc, with a hard drive degrading, ALL of your games at once are at risk, so there too the comparison is clearly in favor of physical. It's also the reason why plenty of people, such as @NEStalgia keep backups of their hard drives just in case this happens. We physical owners just need the individual discs or cartridges, and we already do, so that's never going to be any problem. Oh, and on a side note: digital has actually already been around for longer, so we can absolutely compare its longevity to physical media. Maybe it wasn't available in every area, but you might remember a thing called the NES Satellaview, which allowed users to download special versions of NES games to a floppy disc. Well, these services are already long gone, but the normal NES games that people still own, are still playable, whereas the floppy discs with the downloaded games on them are often corrupted and/or completely unplayable. Well, I'll stop here, before we keep going around in circles. We agree on quite a few things, except just not on the benefits of physical over digital, but that's okay. To each their own, as they say. I want to be able to say this too but I just can't because physical copies are going away thanks to the influence of the digital crowd. They are destroying not only their own consumer rights, but ours as well. Of course it can be said that modern games are all but useless anyway without their patches so there's that. @ThanosReXXX Well, when you have to stop and explain a joke, it stops being funny (at least to me), so I don't really feel the need to explain it, so let's keep it flying by over our heads. To be honest, I'm quickly losing interest in any of this replies but I only came back since I feel like I would be rude if I decided to ignore them. So, just for closure, I'll trace back to my original comment since I still believe I've been trying to make that exact same point through all of this comments, though admitedly seems like a futile effort. "I agree with that, but I don't see it entirely that way. Yes, closing the shop and blocking the option to redownload a game is a bad thing, but it is hardly different from losing your physical game when they are not producing it anymore. Sure, you can pick up a used copy, but looking it in that way, I don't feel so bad about it at least." My point was, is and will be that both share this same problem. If I lose my copy of Super Mario World, it stops working somehow, my home gets burned to the ground or some rando just decided to come and steal my copy on my sleep, I'll have to find a way to play it again if I really want to, and since Nintendo isn't producing more copies for the SNES I'll have to either get an used one, somehow manage to put my hands and wallet on a factory sealed copy or just get it on a newer platform. Nintendo not producing the game anymore and stores not having actively it on sale is like losing the ability to buy/download it again on the eshop. In both cases you'll end up looking for something else if you screw your copy somehow. "There is no way, in this existing universe, that you can objectively come up with a list that puts digital on an even foot with physical games, where benefits are concerned. No way, not ever." You're talking out of thin air here and with a completely biased perception, even when you played the "objectively" card. If some digital purist came here he could (and would) say exactly the same as you did. No matter how "objective" you are about the two, bias will always move one over the other and that's what I tried to say on my last comment as well. The problem here is that neither you or this other dude are owning that. Both are only trying to put the one you prefer over the other, disregarding any other thing that doesn't fit with your preferences without actually owning that opinion openly. It shouldn't be "physical/digital is better than the other because this and this", it should be "physical/digital is better FOR ME than the other because I FIND this and this suiting MY PERSONAL PREFERENCES the best". I'm not sure if could make it even simpler than this so this is my final try to put that through. "Older games on disc and on cartridge are most definitely YOUR property, denoted by the fact that there is no lease/rental period or any given length of time that prevents you from keeping them forever, and also no directive that prevents you from reselling them." Yup, definitely discs and cartridges, box, boxart and whatever it has is yours except for the actual ownership of the files. You own everything except that, with the only thing making you able to playing it is the actual license, no matter if the game is a day or 100 years old. I will not go deep on this seems it is quite simple to understand. Now you are entering in the territory of the second market, which, again, already addressed at least one time in one of my previous comments, but now that you mention it, why would it matter being able to resell it you you're saying that you want to keep them for the longest you can? Why would that be important? It seems just like you brought that up to force a possibility rather than an actual need or concern. Doesn't quite add up, for me at least since it seems that it makes sense to you to even bring that up here. "The ONLY thing that is protected, is the Intellectual Property on those media, so for example Mario or Zelda, or Master Chief, or Crash Bandicoot or whatever. But the disc or cartridge they're on, is most definitely your property." Already addressed it in the last paragraph. In this case, Nintendo sells you the license to play the game of their IP, not the IP/game itself. This is why some people didn't understood why Nintendo tried to block the usage of their property on Youtube. Since then they have softened a little, but they were not wrong in the slightest. "So, that's another story altogether, and like I already mentioned before, they changed the rules once they went with digital games, but for everything until the previous generation, all retail game media was yours to keep and to do with as you saw fit, except for making illegal copies of it, but that's kind of an obvious one..."
They didn't, it only became overall public knowledge. "As for games being disabled/removed: besides the examples I mentioned, from games where the online component is either all-encompassing or so big that it effectively makes the game all but useless, there are also examples from titles simply being pulled from the stores, for whatever reason. That has happened on Xbox Live, and on the Nintendo eShop, multiple times." Much ado about nothing. Pulling a game out of the store is not the same as taking out the ability to play it if you already have it downloaded. Nothing else to say here. "Some of these titles have also been documented here on NLife. Of course they don't disappear from your console's hard drive, but if you can't re-download them, then you're basically screwed, if you want to move the games to another console or another hard drive, which happens quite frequently." Still no sources. I can move the games I have in my SD that I use on the Wii and stil have access to it. The same can be done with care on the 3DS/Switch. The only thing that is blocked is downloading them again, in the case of the Wii. "And this other dude also offers a VERY valid point that where in comparison of game degradation it might only be a single physical disc, with a hard drive degrading, ALL of your games at once are at risk, so there too the comparison is clearly in favor of physical. Yup, but I for hell wonder if the degradation only works 1 disc at the time. Even stored, degradation is real. As far as I was I'm aware of, Wii doesn't use hard drives but flash-memory tech (correct me if I'm wrong). A valid point, but not for this particular situation, unless I'm corrected about it. "Oh, and on a side note: digital has actually already been around for longer, so we can absolutely compare its longevity to physical media." That's true, but not exactly in the same way on consoles as it used to be. After all, physical media is only a vessel for the digital game to be played on a console. "Maybe it wasn't available in every area, but you might remember a thing called the NES Satellaview, which allowed users to download special versions of NES games to a floppy disc. Well, these services are already long gone, but the normal NES games that people still own, are still playable, whereas the floppy discs with the downloaded games on them are often corrupted and/or completely unplayable." That's what time does the best, and that exactly can happen to any physical media. Floppy discs are very fragile if they are not given a lot of care, which is part of the reason on why they usually get corrupted, but that doesn't mean all got corrupted. This is the exact same scenario every storage media will face with time. "Only a handful of them have reached collectors that have taken better care of them, so these still work, but they are most definitely the exception. Points go to physical again, in this situation..."
I can't see why. Last time I checked, floppy discs were physical media. If the games were stored in a more durable vessel (cartridge, CD, Bluray, hard drive, flash memory, you name it), they would still be playable. So this is actually point against fragile physical media, but whatever. "Well, I'll stop here, before we keep going around in circles. We agree on quite a few things, except just not on the benefits of physical over digital, but that's okay. To each their own, as they say." I never disagreed with the benefits one has the over the other or tried to impose one as the best option. I don't know why people always try to make it that way. I already addressed this multiple times and I don't feel like I should do it again. "Thanks for the discussion, and just enjoy the games in whatever way you like, and we will do the same with our physical copies... "
This is exactly what I was trying to say through all of my comments. My original intention was never to attack your point of view. I just tried to bring up that, from a different perspective than yours, it didn't looked as bad as you were framing it. Nothing more, nothing less. @Crono1973 You're right, I fail to understand what does this has to do with anything I've said, really. Why does it matter that I can't buy the same digital game or download it again in 10 years if I already have it in my system? Isn't that the same if I can't buy the same game brand new in 10 years in any store? Like I said, several times now, if you screw up in both, you'll need to do exactly the same. The reason you can share your digital purchases at the moment is really evident. Some people are pieces of **** that would take advantage of that. Some wouldn't bother buying a game when they can download it for free. As I mentioned, there's an early effort to somewhat solve it, and will probably take a long time until it is solved completely, but it will happen. "Also with digital there are no used copies"
Excuse me, are you sh*tting me? How on earth would you buy an "used" digital game? Please tell me the specifics since the idea is just baffling to me. "This is why physical is not tied to a store closing and digital is tied to a store closing. Understand now?" Yes sir, but that's still missing the point though. B for the input/effort though. "One game can be stored and pulled out once a year to be played but the console that plays your games will be in use for EVERY game that you play. The console gets far more use than any single game. Understand now?" As I told Rex over there, there's still degradation, even when it is not in use. Both mediums can last perfectly a huge amount of time to even be a real concern. On disc based systems, the disc reading lenses usually wears off faster than the memory itself, so it brings them to an even ground if you really want to keep kicking on this hill. "Also, I have been told that electronic components can degrade over time, even when in storage and not in use. I had that happen to me once with an Xbox 360. It worked fine and I put it into storage (in my bedroom, in a drawer) and when I came back a few months later it wouldn't work. I guess it would be the Red Ring but it was the E model so no actual Red Ring." Yup, curious how degradation works for all things, doesn't it? "Fair enough, prove me wrong. Which digital game from 1985 can still be downloaded from it's original digital store and still works fine on it's original hardware or a clone of it's original hardware?" You really need to dive here into specifics to prove your point, don't you? Then I can play that as well. Find me any store that sells a brand new The Legend of Zelda for NES at retail price. And while you're on it, find me an unopened sealed NES or an official substitute to put in the cartridge and play. If you really want to go into specifics, let's go balls deep into them, shall we? All of the games that came in 1985 are digital. In fact, every videogame that has ever been made is digital and most are stored in a sort of electronic-based media. The most viable way to provide the games to the public back then was through a vessel. I'll let you choose. Cartridges? Discs? Floppy discs? You name it. The only physical thing about them is the vessel made for us to be able to transport it to our homes and play it. At the end of the day, it is only an option on whether you want to have them stored in a glorified SD card (in the case of the Switch) or stored in your console or any external storage device. I don't know why you insist into comparing the closure of the digital store with the ability to play the games you already bought and have saved and I really don't care, really. Like I told Thanos up there, I only replied to both since I didn't wanted to be rude with you (and I tried to be nice along the way), but as hard as I can, I can't take any of your comments seriously. Just own your opinion about your preference, make it about you, stop trying to discredit the one you don't like playing it from the "best way" POV. That's everything I hope you get from all of this. @Devlind Well, I have no idea why this discussion has to be hostile or rude, because like I said at the end, I actually thought it was a good discussion, regardless of us not agreeing on every point, but whatever. I've tried to address the whole thing as widely as I could, regardless of my own preference (and I actually DO own a lot of digital games, so I'm no physical media "purist", like you seem to think), just looking at the factual pros and cons, NOT looking at it with an attitude like "well, I prefer physical, so of course that's better". What I meant with the NES Satellaview download games example, is not proving your point about fragile physical media, but about downloads not being recoverable/re-downloadable anymore, so unless you still have one of these NES floppy discs in mint condition, there is simply no legal way left to get another one of these specific download games again. And the whole trade-in thing wasn't about getting a brand new copy of an old game, but about to this day still being able to get whatever game you want, in physical form, in a legal way, from a retro game shop. That also wasn't about me wanting to sell my games, but about whatever game I might still want, or (perish the thought) one of my games going missing or degrading to a point that I can't play it anymore, that there will more than likely still be a couple of options left for me to get my hands on a used cartridge or disc. For some users of physical media, who aren't really collectors, that IS an important option, though, because they might want to trade in their old games for new ones, so we do also have to keep that in mind, if we want to look at it in the broadest way possible. Regardless of what you or I want, there are people that do this, so in that respect, there's no alternative for it, on the digital only front. And for the record, I'm talking exclusively about legal means of acquiring these. Of course there's illegal downloads and what not, but for the serious collector, or fan of boxed games on ACTUAL media, those are often not or never a serious option. So, in closing, I'm honestly not trying to discredit one option over the other, just summing up the actual pros and cons of both, and comparing them to see which one objectively offers more possibilities that might benefit the people using them. And if you felt like there was any rude or offensive tone in my comments, then let me assure you that none of them were meant as such, otherwise I wouldn't even have responded to you with such elaborate comments, much less thanked you for the discussion. @Crono1973 Yeah, I know. I should have clarified that I will probably become a "retro" gamer, if things will go full digital in the future, with no option to own any physical media yourself. Or perhaps I will become a Nintendo-only gamer once again, seeing as they aren't quite ready to get rid of physical yet. Then again: we don't know what any of the three companies have in store for us in the next generation, so let's just wait and see what gives, and by then we can always decide one way or the other.